You have committed to a new deck, perhaps because the old one is structurally unsound, perhaps because the old one is outdated and lackluster. Whatever the reason, your decision to invest in a new deck will add value and appeal to your home. 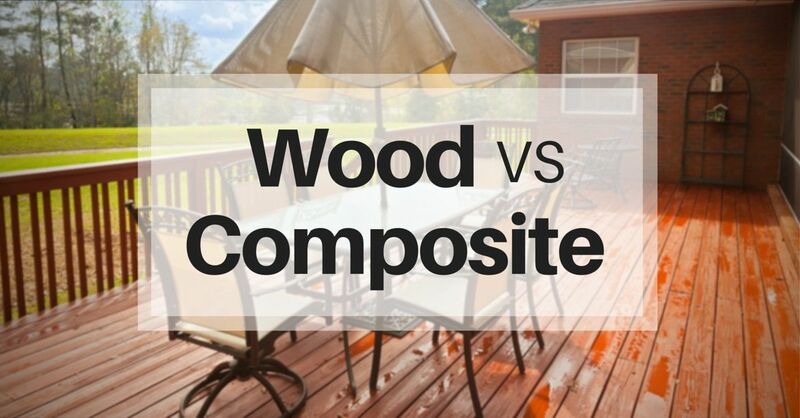 You do have, however, a few decisions left, and key among them is the material for your decking—will you opt for natural wood, or choose a composite? At Straight Line Construction, we have installed many decks in beautiful, resilient California redwood. This natural wood is prized for its water repelling surface, retain its deep, earthy coloring, and stand for decades of low-maintenance service. Natural woods such as redwood show variations in coloring and density (sapwood is softer than heartwood), but these variations are valued as beautiful qualities, not flaws. A new deck in natural redwood is somehow tranquil, soothing and peaceful, simply because you are surrounded by all-natural materials. Redwood warms with sunshine and cools in the evening breeze. It sheds water without a finish and requires very little upkeep. Any natural wood can crack or splinter, including redwood. Redwood—even kiln-dried stock—will shrink over time, slightly increasing the width of the spacing between your new deck boards. In 20 years (possibly earlier, depending on exposure) you will need to replace your Cameron Park home’s deck. Redwood, like all building materials harvested from nature, fluctuates in price based on availability and demand. Two composite materials we at Straight Line Construction enjoy and recommend are TimberTech and Trex. Composite materials are plastic-based, human-made building products that combine wood content with petroleum-based by-products. Their advantages are predictable color, no shrinkage, fade resistance and predictable pricing. A completely integrated system can provide a uniform, beautifully designed appearance to your Placerville home. While composites may initially be more expensive than redwood, their durability provides for a great return on your investment. Add to that the almost non-existent maintenance schedule for composite decking (pressure-wash once a year; sweep every now and then) and you have a worry-free, attractive deck. Because they contain plastic, composite decks may feel hotter on some days than their wood counterparts. To learn more about the choices you have in materials for your new deck, contact Straight Line Construction today. We would be happy to discuss your options.